If you believe in clean, additive free, healthier food then our brand is for you. We are the very Irish company with the very Italian name. Established in 1999, we are the oldest fresh pesto producers in Ireland and epitomise what clean food is all about. We hand make our range in small batches, blending the taste of fresh healthier ingredients and using techniques that allow those flavours to develop naturally and unhurried. We couple our understanding of the craft of making pesto with a deep love for additive free food and a passion for producing hugely flavoursome products using minimal processing. We are a specialist gourmet company that believes in producing hugely flavoursome products from great ingredients. We pride ourselves on our taste and the health benefits of the ingredients we use. All products are Gluten Free and manufactured in a totally Gluten Free environment. All products are either Vegetarian or Vegan. We are listed with the Coeliac Society of Ireland. Our small batch production techniques use absolutely no additives, preservatives or colourings. Our products are free from GMO and are Low Salt. All our products are fresh, therefore they need refrigeration. We are Origin Green verified, which means we live by a code of ethics that reflects our beliefs in sustainability and make every effort to reduce our footprint on this planet. 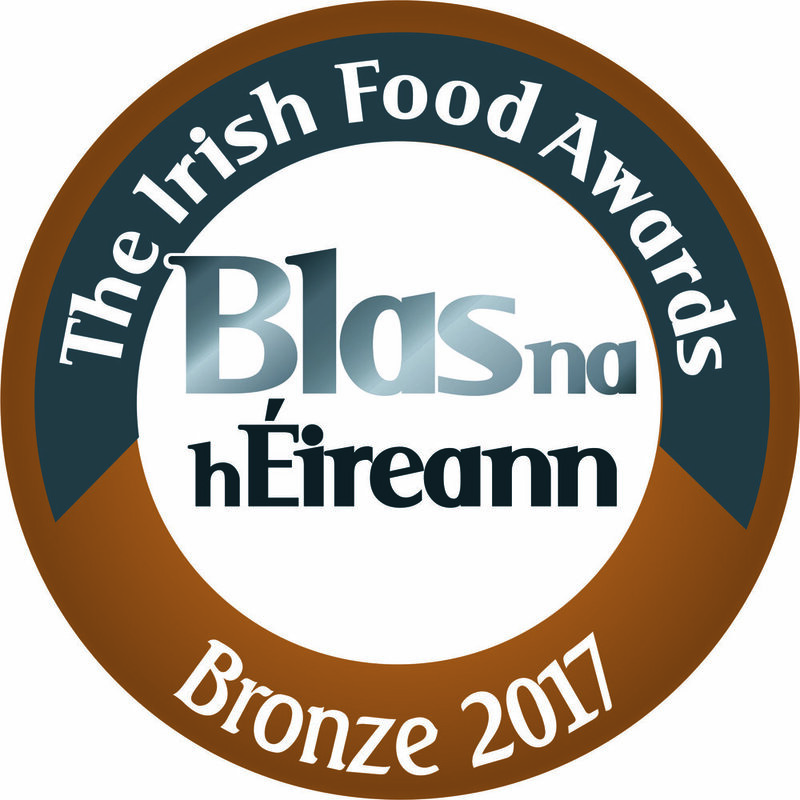 Bronze winner at the 2017 Irish Food Awards for our Tapenade Rustico. Bronze winner at the 2016 Irish Food Awards for our original Pesto Verde. We are members of a guild which supports and promotes specialty food producers and the independent delis, farm shops and food halls that sustain them. Also running the influential Great Taste and World Cheese awards. We are partners with Cross Care - a mobile food bank dedicated to the daily collection and redistribution of surplus food to over 70 charities working to help those living in poverty. We are supporters of the All-Ireland Pollinator Plan to address pollinator decline and protect pollination services by implementing a number of positive initiatives to aid pollinators around our business. We are members of the Love Irish Food Association which aims to help shoppers make informed choices about buying Irish manufactured food and drink, in turn helping to safeguard Irish jobs. We are an Origin Green verified member which shows our commitment to sustainability along the supply chain in an effort to reduce environmental impact, serve local communities more effectively and protect our country's rich natural resources. We are certified carbon neutral, meeting Kyoto/UN standards. Demonstrating our dedication to reducing carbon emissions via robust carbon and energy management, as well as quality assurance standard approved carbon offsetting.